Mad Men: Men's Vogue vs. Details. | A Continuous Lean. 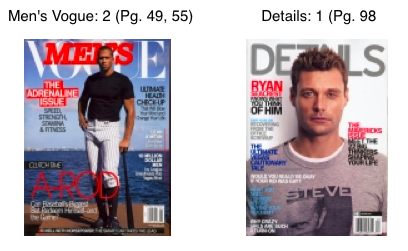 Mad Men: Men's Vogue vs. Details. Everyone must be dying to see the new season of Mad Men. There are multiple Mad Men references in the April men’s mags and the show isn’t even doing its press assault for season two (schedule to begin airing this summer). I know for a fact that the cast is being shot for at least one major magazine, due out later this year. Do you know who is going to be the biggest benefactor? Michael Kors. Once the fall books start coming out (September issues hit newsstands in August, the same time the show starts up again) you will see the Mad Men inspired Michael Kors AW08 collection everywhere – it is going to be a PR perfect storm. A-Rod vs Seacrest! Mad Men references for April.